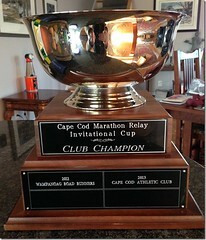 BA Events has announced the standings of the first race in the 2009 Cape Cod Half Marathon Trilogy. The trilogy, a new half-marathon series created this year, features the Hyannis Half Marathon in February, The Great Hyannis Johnny Kelley Half Marathon at the end of May, and a new race to be held in Harwich, the Harwich Cranberry Half Marathon. The Harwich date has been set for 4 October but additional details have not been finalized. Check our race calendar for updated information on the race. 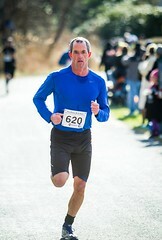 Those participating in the Johnny Kelley Half Marathon are encouraged to register now as the field is already at 75%. For more information, contact baevents@aol.com. On April 22nd, we celebrated Earth Day and we hope you all got a chance to get out for a run, bike, walk or hike and experience all that the natural world has to offer, especially here on Cape Cod. With earth-centric activities filling the week, including the launch of Disney’s Earth (get to a screening in the next few days and Disney will plant a tree for your ticket), the week culminates in a slew of cleanup efforts, nature reserve rehab work, and trail and path maintenance. Several CCAC members are headed to the Wellfleet Bay Audubon Sanctuary for their annual Work for Wildlife volunteer day and we hope you’ll join us. Joe Weinberger and Annie Gibbons announce the spring edition of their 10 week running program for beginning and intermediate runners. 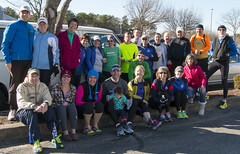 The group will meet Saturday mornings at the Johnny Kelley Park in South Dennis at 8:30am beginning 18 April and finishing on the 20th of June at the Run For The Arts 5K road race. Beginners will transition from walking to running with a goal of 30 minutes of continuous running while the intermediate group will focus on increasing mileage and pace. The cost of the 10 week session is $75. For more information, contact Joe Weinberger (508.394.3012) or Annie Gibbons (508.385.7849). Cape Cod Triathlon Team member Vana Trudeau, in association with Fitness500, is offering an 8 week triathlon seminar. The seminar will begin on the 27th of April and run through June 15th, prepping you for Hyannis Sprint I, the first race of the 2009 New England Triathlon Tour. Meeting on either Monday or Tuesday evenings, each 90 minute session will take you through the details of multisport and introduce you to training methods, nutrition, transitions, hydration, stretching, and equipment care. The cost of the seminar is $199 for Fitness500 members and $249 for non-members. For more information, you can contact Vana Trudeau at 508.280.8885 or Fitness500 at 508.815.4520. Welcome to Chatham In June! 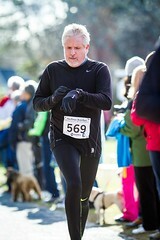 Picture post-card perfect, come run along the shoreline of Chatham at the end of June at the Chatham Harbor Run. This rolling 10K features a lighthouse, a wooden bridge and a couple of fish piers, not to mention a little bit of ocean along the way. The course is certified and with a noon start, be prepared to sweat! 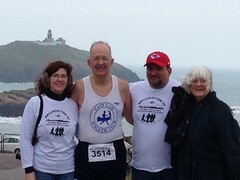 The accompanying 5K walk, administered by the Chatham Walkers, strolls down towards the Oyster Pond then cuts back across town to return to the Chatham Jr. Sr. High School. After the race, rehydrate and relax at the Squire in downtown Chatham. If you’d like to take an early tour of the course, join the CCAC runners every Tuesday night at the school at 5:30pm. On-line registration is open now! It’s almost time to make the trek from Hopkinton to Boylston Street. Here’s a list of all the Cape Codders that we can find who are making the trek this year. Track them on the BAA website or check back here after the run for times and finishing places. In other Boston Marathon news, the club has the usual hotel room at the Lenox. Ask at the desk for the Cape Cod Athletic Club room or John Worgan in order to find your way to some relaxation and a warm shower. If you’re still looking for a ride to Hopkinton, give Kevin Petrovek a call at 508.775.8877 – he may still have some seats available on the bus. We’ll see you at the finish … and good luck to all runners!